Assembled as soon as they're delivered: out of a total of 144, some thirty modules have already been assembled. Work should be complete by early June. In size and look, JWS2 and 3 are identical. But lessons have been learned and the organization of office space will be slightly different in the new building. Chances are that JWS3 will look a lot like JWS2. 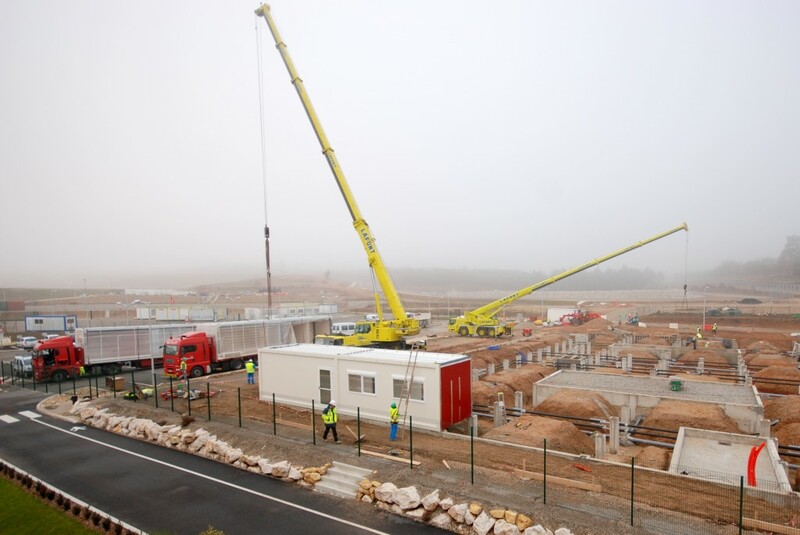 The new building that is being assembled next to the ITER Headquarters uses the same modules and the same building techniques, and its interior decoration will be very similar. There will be a few differences though: return on experience at JWS2 has led to modifications in the organization of the workspaces. There will be fewer offices opening into the inner courtyards and more meeting rooms. Coffee machine rooms, as well as meeting rooms, have been moved to locations where noise will cause the least disruption. Of 188 total modules, each weighing 8 to 9 tonnes,some thirty have already been delivered to the site and assembled. Completing the work will take another six months. The ground floor will host approximately 100 ITER staff, thus partly solving the "housing crisis" at ITER. The upper two floors will be the realm of F4E, and accessed through a welcome desk. 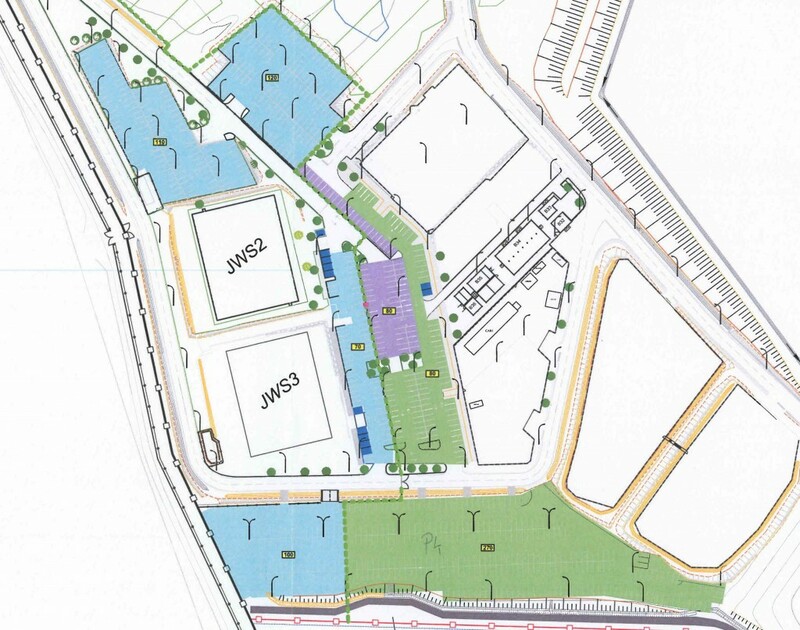 Providing office space for some 300 people implies an extension of parking facilities. The small lot directly facing the HQ building will have a further two rows of parking spaces that will be taken from the platform contractor area, and a new lot will be created to the east of the new building. A rotogate-type passage will be opened into the fence facing the platform to provide F4E with controlled access to the contractors' area. The inauguration of JWS3 is scheduled for 10 June.